You are going to love this cake! A vanilla cake, soaked with sweetened condensed milk, covered in sweet cannoli filling. Ah-mazing! Can you believe I’ve never made a poke cake before? I’ve been wanting to for forever, but never quite got around to it. Until now. And boy have I been missing out! 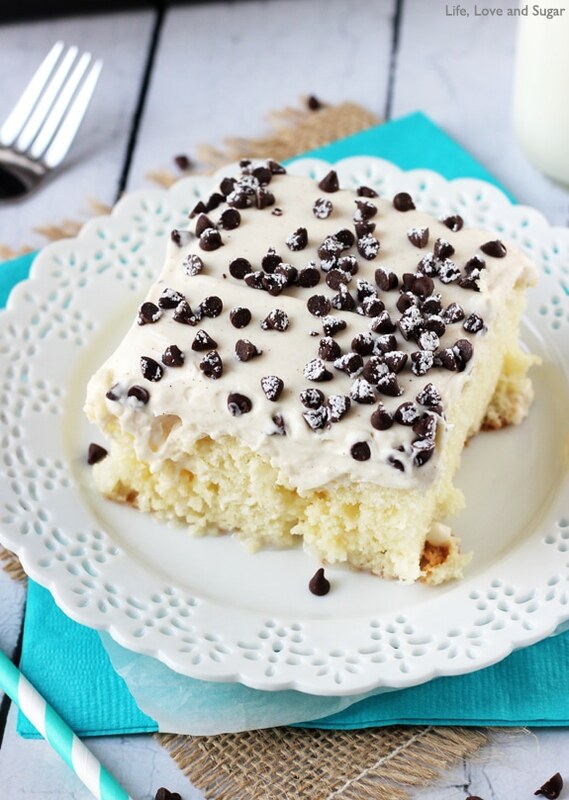 This Cannoli Poke Cake is super easy to make and SO tasty! 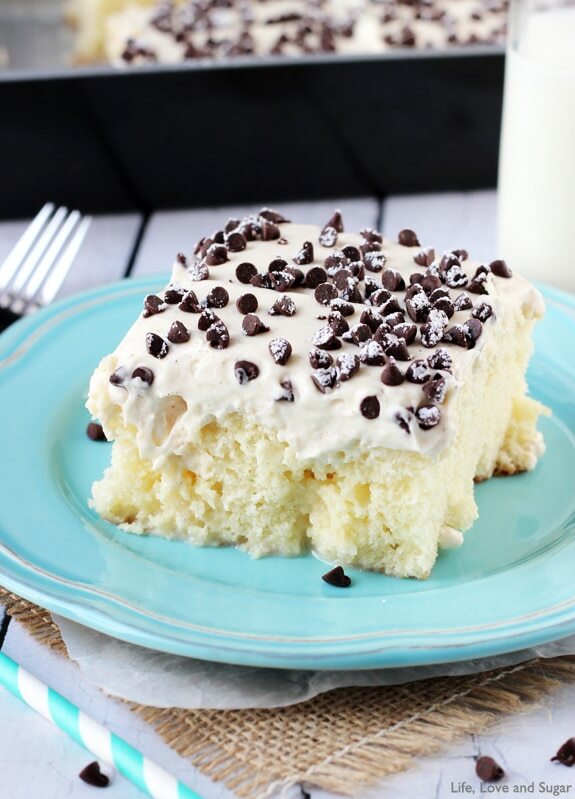 If you don’t know much about poke cakes, they are basically a cake that’s baked, covered in sweetened condensed milk which soaks up into the cake, making it incredibly moist, and then usually topped with some kind of whipped topping. There are a ton of variations out there. The sky is the limit! A friend requested something “cannoli flavored” for her husband’s birthday a while ago and since I’ve been wanting to make a poke cake for so long, it just popped into my head and I knew I had to do it! There are so many ways to make cannoli’s – particularly the filling – and when done right, they are absolutely delicious! The filling really is the best part – and that’s exactly what this cake is covered in. Get pumped! The cannoli filling “icing” on this cake is one of those things that you just cannot get your finger out of. I was lucky any of it made it onto the cake. And my small group felt exactly the same way! They were basically licking the sides of the pan where the topping was left behind – using their finger of course. So stinkin’ good. One thing I did a little differently with this poke cake is that I didn’t use an entire can of sweetened condensed milk when pouring it over the cake. I didn’t want to the cake to be too soggy, but I wanted it to have the moist-ness and delicious-ness that the sweetened condensed milk gives. But since it didn’t all go into the cake, and I hate wasting things, I put it into the cannoli filling. It sweetened the topping up just enough and made it even harder to resist. Pure deliciousness. 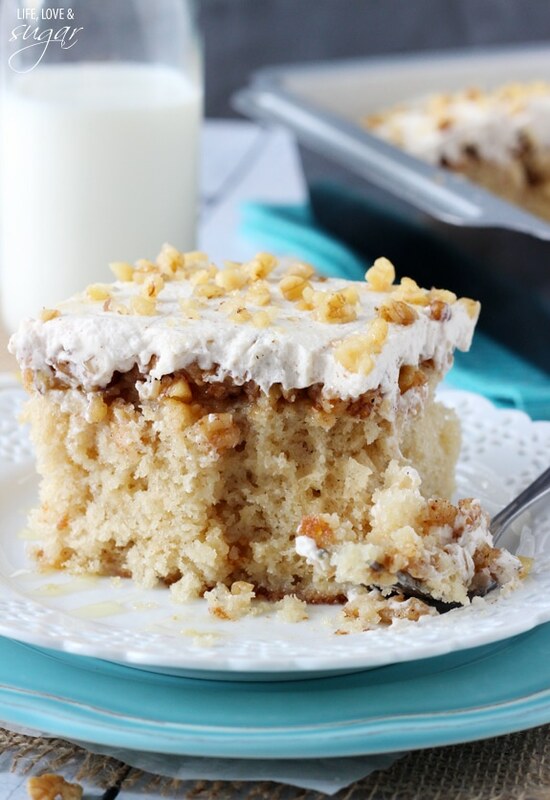 Have you seen my Baklava Poke Cake? 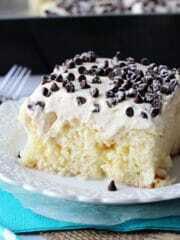 Or my Cannoli Icebox Cake? So yummy! Update 6/10/14: One thing to note about the topping on this cake is that it is not like a traditional icing. It is meant to be more like cannoli filling. The texture is kind of like whipped cream at the soft peak stage. 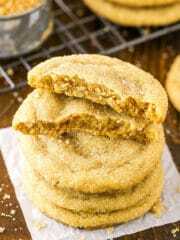 If you’d prefer it to be thicker, you can do one or both of these two things – leave the sweetened condensed milk out of the topping (as it thins it out a bit) and/or add up to about 3 cups of powdered sugar (which would thicken it). I chose to leave it thinner so that I didn’t dilute the cannoli flavor from the cheeses – I love that flavor! And though it’s thinner, it’s still plenty thick to be on top of the cake. I’ve made this cake a couple of times and it has sat out at parties and the icing stays in place. So it isn’t so thin that it runs or anything, it’s just not a traditional icing. I hope that helps, as I know many have been surprised the fact that it isn’t thicker. 1. Bake cake according to directions on box for a 9×13 pan. 3. 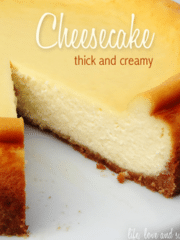 Reserve half a cup of sweetened condensed milk and pour the rest of the sweetened condensed milk over the cake. 4. Put cake in refrigerator for about an hour to absorb milk. 5. Combine ricotta cheese, mascarpone cheese and vanilla extract in a mixer bowl. Mix until smooth. 6. Add powdered sugar and cinnamon, if using and mix until combined. 7. Add reserved sweetened condensed milk and mix until combined. 8. 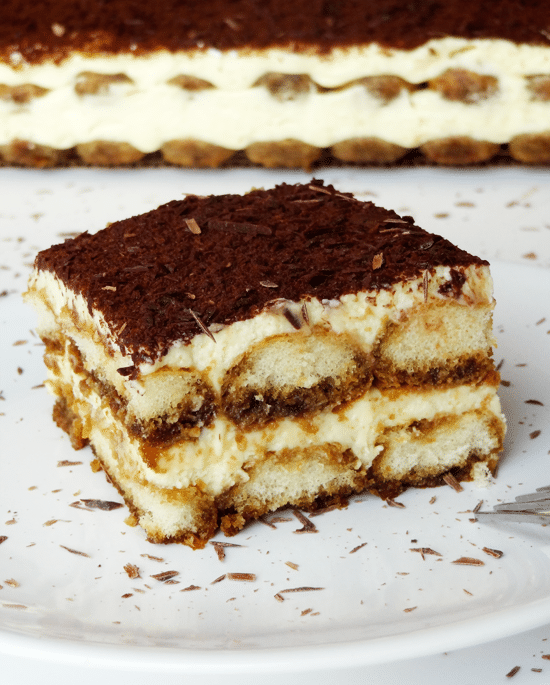 Once cake has absorbed milk, spread cannoli topping evenly over cake. 9. Top with mini chocolate chips and a sprinkling of powdered sugar. 10. Cover cake and allow to set in refrigerator for 2-3 hours. Cake should keep for 4-5 days. Do consider straining the ricotta before using, especially if it’s a particularly watery brand. Also, when mixing together the ricotta and mascarpone cheese, DO NOT over mix it. If mascarpone cheese is over mixed, it becomes very thin. Cannoli topping modified from The Vintage Mixer. The cannoli filling is totally the best part! 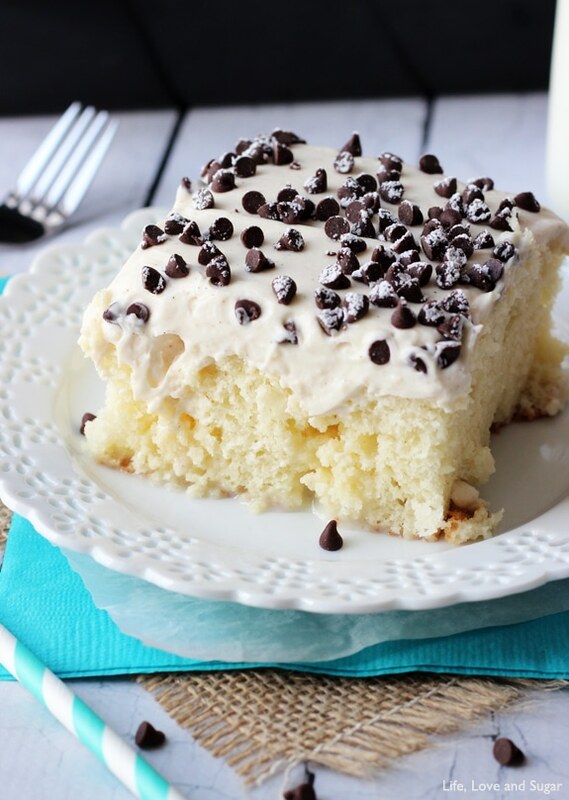 And the only part I actually eat 😉 So your poke cake sounds like chocolate chip cannoli heaven! 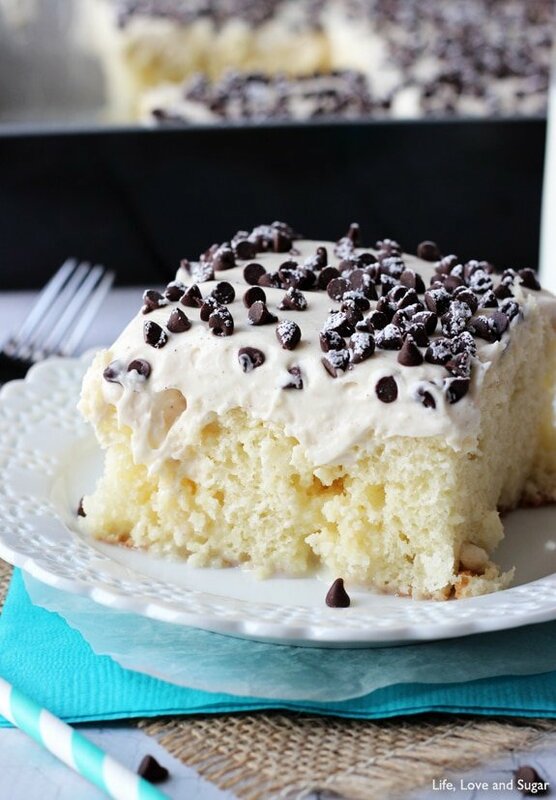 I’ve never make a poke cake but yours looks absolutely delicious! Is it bad that I don’t know how to pronounce “poke”? I say it like “pokey” is that wrong? Really?! That seems like a shame. But I guess it makes sense because you poke holes in it before pouring on the tres leches part. I’m so glad it worked out! Thanks Rich! Hi there….was reading all the comments about the frosting being runny, would it be at all possible to add some gelatin to help set it up and if so how much. Just curious? I haven’t tried it, so I can’t say for sure. I think there’s a lot of variation in the water in ricotta – if you’re sure to strain it, the icing should be fine without gelatin. This cake is serious perfection! I need it in my life! OH MY GOD I’m dying for that filling. It would never have made it to the cake ,for sure! It almost didn’t – so good! This is so perfect right now! I love to bake, but it seems like lately I need an specific reason to make a cake (why does everyone I know need an excuse for cake?!). This is definitely happening for father’s day – my hubby is a huge cannoli addict! I agree – I see no need for an occasion for cake! 🙂 This would be great for father’s day though! Can’t wait to try this! I was just wondering….is it a 1/2 cup of each of the cheeses or 1 and 1/2 cups? Thanks so much for sharing this, this is going to be a Mother’s Day treat for a good friend and myself!! It is one and a half cups of each. Enjoy it! I love cannoli- this cake is amazing! I love the flavours! 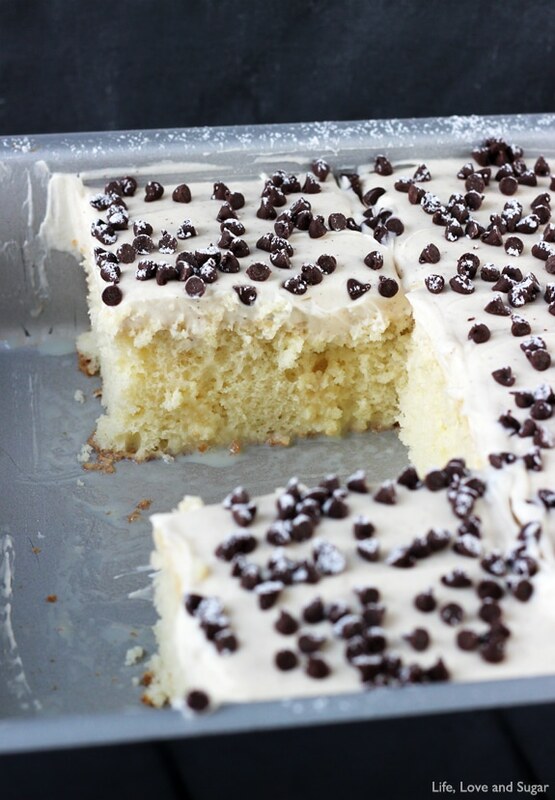 Thank you for posting this Cannoli Poke Cake recipe! I followed your recipe, and served this cake today, for Mother’s Day! It was a huge hit! This is definitely my favorite cake now, and I will be making it as often as I can!! I made the cannoli cake again last night for my brother’s birthday. It’s so simple to prepare, and so delicious. I almost always have all the ingredients on hand anyway, which helps a lot! Thanks again! holy Cannoli! I have to try this! I’ve only had cannoli cake one time from a the best local Italian bakery in my area. It was fabulous and it had broken cannoli shells on the outside (an idea for your recipe?). I am so happy to have a recipe to make my own. This sounds GREAT! Pinned! Ohhh, what a great idea! Thanks AnnMarie! Wow! This looks so delicious! My husband’s whole family loves cannolis, pinning this to remember to make it for them, next time they are in town. You photos are awesome as well! I have to try this!!! Yum-O!!! Is it best to bake this the same day you plan on serving ? Or could it be made on Friday and served on Sunday, or even the day before. Can’t wait to try it. Thank you! The day before might be better than 2 days before, but yes you can definitely do it ahead of time. In your recipe, you recommended to make the poke cake 4 to 5 days ahead of time. To Vicky G you said serve the day after making or 2 days before. How long should the cake be stay in the fridge before serving? I don’t want to make a mistake. I’m sorry if it was confusing in the recipe. The 4-5 days is how long I recommend the cake will keep for. I updated the instructions to be more clear. Once the cake has absorbed the sweetened condensed milk and you add the topping, it should sit in the fridge for a few hours until the topping has firmed a bit and then you can serve it. My co-worker made the Cannoli poke cake and It was great. I ate 3 pieces and enjoyed every bite. I believe its a 15.25 oz box, but any 9×13 cake mix should be fine. Is mascarpone cheese found in the cheese section of the grocery store? I’ve never heard of this before. Can you tell maybe what kind of taste it has? Thanks for the recipie. It looks great! Its usually in the deli section. The taste is hard to describe. Its much lighter and smoother than a traditional cheese. Not really sweet, but lends itself to sweet well. Its also used in tirsamisu. I will be making this cake for my Hubby, his Birthday is the July Forth! instead of using choclate bits, I’m going to use White Bit’s. He doesn’t care for ALL Chocolate. I can “Already taste the cake!”. Great! Mascarpone cheese is a very smooth, light cheese that is usually found in the deli and specialty cheese section of the grocery store. This is the one I use (looks like Walmart must have it too). Hi, I was wondering if you hand mix or mix with a mixer? Just curious. I normally use a stand mixer. I made this last night, covered it and then presented it for my husband’s birthday today. The cannoli topping seemed runny after being in the fridge overnight. In your pictures, you must’ve served it right away. It tasted great, but very sweet, even leaving out the powder sugar. I will def make it again but will make slight modifications to lessen the sugar/sweet. Thank you! If you left out some powdered sugar, that could be part of the reason that it wasn’t as firm. However, the topping isn’t as thick as a normal icing. You could leave out some of the sweetened condensed milk next time to lessen the sweetness and make it firmer. Glad you liked it! Happy birthday to your husband! I made this tonight and the cannoli topping is pretty runny. I even used 1 3/4 cups of sugar instead of just one, and it still wasn’t very thick. Is this how it is supposed to be/do you have any tips? I did a taste test and it tastes great, just a bit on the runny side. Yes, it is a thinner topping. Not nearly as thick as a traditional icing, more like a thinner whipped cream. If you’d like it to be thicker next time, you could leave the sweetened condensed milk out. You could also add more powdered sugar – up to 3 cups probably. Is there a substitute for the mascarpon cheese? 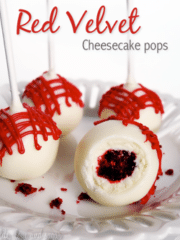 I am going to make this for my Bunko group! You could use all ricotta cheese, or try subbing cream cheese. The cream cheese will be a little thicker and sweeter. Thank you for the nice recipe, Lindsey. Have a Wonderful Sunday! Please add me to your email list for updates to your site. There is a place in the sidebar to add your email to get emails when I post. It will send you a confirmation email. I made this cake today and it was a huge hit! I read the comments about the frosting being runny, so I whipped mine a bit with the whip attachment on the mixer and it really helped. I used probably about 1/2 cup more powdered sugar and beat it for about 2 minutes. It set right up in the refrigerator in just about a held hour. Also, I made a 2 later cake instead of using a square pan and the frosting was perfect for spreading on the cake, not runny at all. I was also conserved about the sweetness with the sweetened condensed milk, so I mixed it with an equal portion of milk and used that to pour on the cake. My only regret is that I didn’t use more (used about 2 cups for 2 layers). Otherwise, this recipe was delicious! I could have probably eaten all of the frosting by itself! Will definitely be making this again. i also made this as a two layer cake. Thank you to everyone who posted hints about firming up the frosting. I added 1-1/4 cup powdered sugar, mixed using the whip attachment, and I also folded in a generous 1/2 cup of freshly made whipped cream. Result was perfect. This cake might be the best cake I have ever eaten – it will surely become a regular in the line- up! I make cannoli filling and it is different than the way you make it. My grandparents came from Italy and I make it the way they taught me. 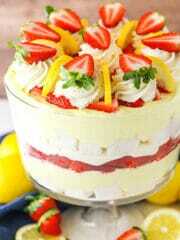 I really want to make this cake but I think I will use the filling I make and also try it your way. Will let you know how it turns out. 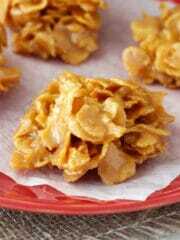 Yes, this filling is a little different, as I added sweetened condensed milk to it. If you have a filling you prefer, I’m sure it’d be delicious! I’ve been looking up different cannoli filling recipes since my was SOOOO runny…kinda disappointed…will make again, but perhaps straining the ricotta cheese would help…taste was delicious!! Whoa, this cake looks crazy good, Lindsay! Pinned. Hope you have a great 4th! Thanks Julie! Happy 4th to you too! This cake sounds great, love poke cakes. My family is coming on the weekend , celebrating my sister’s birthday, so thought this would be good Birthday Cake. Definitely! I hope you all love it! This cake was delicious, but the topping was much too runny, even after sitting in the fridge. I followed the recipe exactly, and then added extra powdered sugar when I saw how soupy the topping was, but I think in the future I would either strain the ricotta first or else greatly decrease the proportion of ricotta to mascarpone. Maybe I just used a particularly runny brand of ricotta, but that was definitely what made the topping too thin. It was a bit of a sloppy mess, but it tasted great! I’m wondering, how thick would the filling have to be to make this into a layer cake and not be too easily oozed out of the layers? This would make an amazing birthday cake for my man! I love the idea of making this a layered cake, but the filling is pretty thin. I’d be tough to get it thick enough. I think the flavor would be lost by the time enough powdered sugar was added. I’m sorry. Can I make this at like 10am and not serve til 9pm at night??? Can it sit the fridge that long? Should I wait to put on the chocolate chips? Do you bring to room temperature before you serve it? Yes, it’ll be fine in the fridge for that long. You don’t need to wait before adding the chocolate chips and you don’t need to bring it to room temperature. In fact, I recommend serving it cold. Enjoy! Hey there! My dad is turning 40 in a week and were throwing him a surprise party tomorrow! His favorite dessert is cannoli and when I saw this recipe on Pinterest I knew it’d be perfect! I looked at every food store in my area and couldn’t find mascarpone, so I was going to sub ricotta. Would I substitute using a 1:1 ratio? Would I add any additional ingredients in? Thank you so much and I can’t wait to enjoy this recipe! What a bummer you can’t find the mascarpone. Did you check the deli part of the store? It’s not normally with the cheddars and shredded cheese, but with the fancy cheeses in the deli. You can definitely sub ricotta though. It’d be a 1:1 ratio. And since ricotta has more liquid in it, you might consider draining the ricotta first. The other option would be cream cheese, if you want something a little sweeter. Enjoy it! I wanted to let you know that this recipe was the most awesome cake I have ever made !! I also tried it over a dark chocolate cake which was absolutely heavenly !!! Kuddos to you for sharing this recipe !!! What a compliment! Thank you Cheri!! I bet it was great over chocolate cake – yum! Made this tonight (according to reipe). Yes, the cannoli filling was runny even though the ricotta was not wet enough to drain. It did not stay on top of the cake but ran to and over the sides. It tastes delicious and was definitely hard to keep from eating out of the bowl. I’m hoping it will harden in the fridge because it does not look like yours. Did you whip the filling with an electric mixer or by hand? Runny or not, I will try it again! I hope it worked out once you refrigerated it. I have an electric mixer that I use. I made the cake today and for the frosting I omitted the extra condensed milk and used 1.5 cups of powdered sugar. I think it taste amazing and looks pretty sturdy. 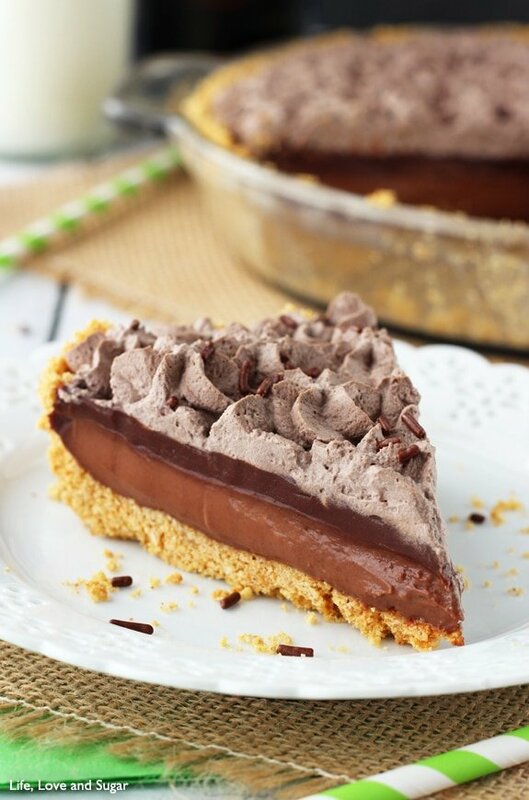 I am bringing this for a potluck along with the no-bake Oreo cheesecake. I love this site! I used and did everything you said and the frosting was so runny! It would not stay on the cake…..why???? I made it twice and the same terrible end result. Why am I reading people had to alter the recpe. Why did your come out like the picture and not ours? What a mess! I’m sorry you’re having trouble with the topping. It seems like the ricotta usually is the problem, as there’s a lot of variation in the amount of water in it. You could try replacing the ricotta with mascarpone, to avoid it completely. You could also strain the ricotta, leave the sweetened condensed milk out of the icing entirely or add more powdered sugar. Made this tonight and the filling is wonderful! I substituted the mascarpone cheese with 1 package of cream cheese, 1/4 cup of heavy whipping cream, and 2 tablespoons of softened butter – just whipped them together in my mixer and it turned out awesome! When I make a layered cannoli cake, I use whipped cream to frost the sides. Is there any way to use whipped cream into the recipe? Maybe you could add some whipped cream around the edges of the cake? Or a scoop when you serve the pieces of cake? I made this cake into two 8×8 cakes and brought them to two different occasions. They were both met with rave reviews! The cannoli topping is so good!!! I used slightly less than the recommended cinnamon and about 1 1/2 cups powdered sugar. I am baking some white cupcakes right now to attempt to transform this recipe into cupcakes… Here goes nothing! I’m so glad you like the cake Charlene! Did the cupcakes work out? First crack at cupcakes did not work out… I used a different ricotta that must have been more moist because I could not get the filling to thicken… Next time I will try straining the ricotta. Also, I will alter the white cake batter – adding the sweetened condensed milk wasn’t working and a plain white cupcake was missing something… This is definitely a work in progress and I will be trying again! This cannoli frosting is too good to not be inside a delicious, moist white cupcake! This is a lot easier to make than it looks. I made it for friends that lived in the Chicago area and they were pretty impressed. Just don’t try the frosting until the cake is covered or it will never get to the cake. 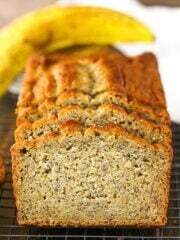 Using the cinnamon gave the taste a little more complex and I recommend adding it in. Thanks for such a great recipe, because cannoli are a real pain to fill! It is so good my friends had it for breakfast the next day! Made this for dinner tonight – absolutely delicious!!! 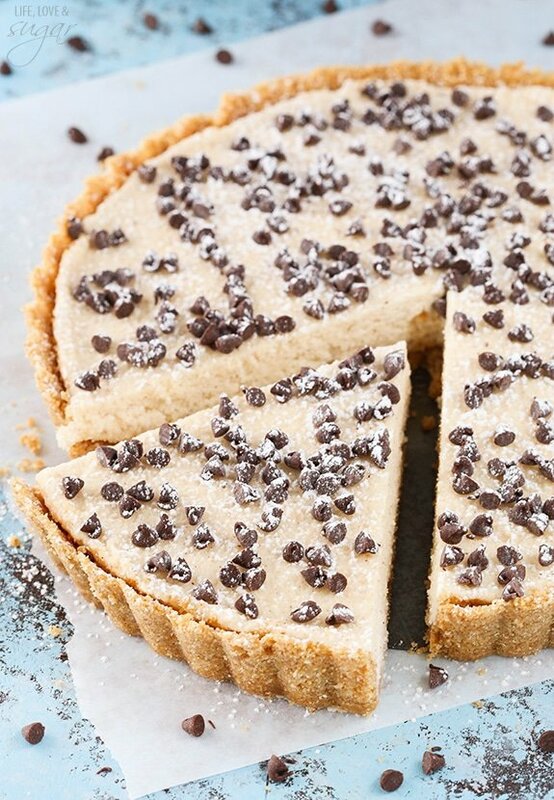 Thinking about adding a little bit of Amaretto to the topping next time – YUM! I’m so glad you liked it! The Amaretto sounds delicious! My topping wasn’t runny at all. It was thick and fluffy. Is that okay? That’s perfect! It should be thicker. I’ve never actually had a problem with it being runny. 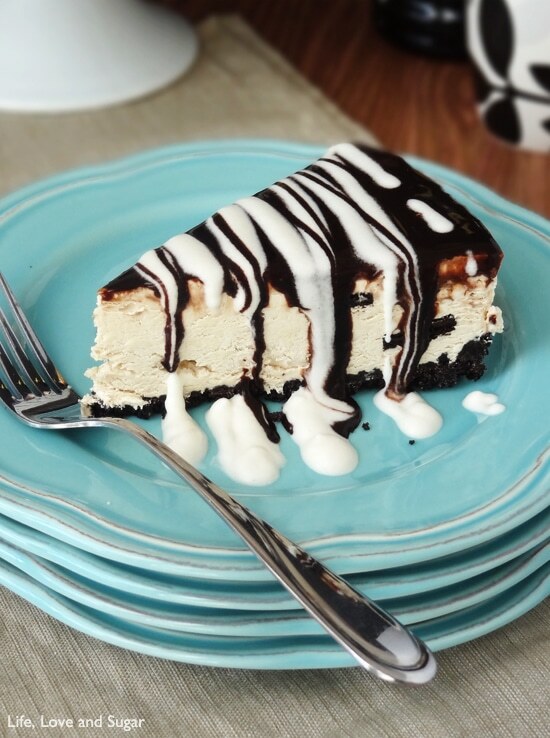 This is on my menu for Christmas. Can someone tell me do I have to strain the Ricotta? Lindsay do you? Thanks. I don’t strain it, but I know some have and prefer to. I think it’s a question of just how thick you want your icing. I don’t think you can go wrong either way, but if it’s a particularly wet ricotta, straining it might be good to be safe. I loved this recipe!! I wondered if it could be made and frozen? It would only be for a week then taken out. Thanks for the delicious recipe! I’m so glad you enjoyed it! I have never tried freezing it, so I’m not sure how well that’d work. Christmas Eve and I was asked to bring dessert to a party. I know it will be yummy because it smells amazing and we licked the frosting batters! I wonder if you mix mini chocolate chips in the cake batter would it still be as amazing as it looks! I’m sure that’d be tasty! I made this is week. Delicious! I do have a question…Is it suppose to be 1/2 cup of ricotta and 1/2 cup mascarpone or 1-1/2 cups of both? I did the 1-1/2 c of both and my icing layer was much thicker than what yours appears to be in the photo. It is 1-1/2 cups of each. It could just be the way the photos look. Sounds like you did it correctly. I hope you enjoyed it! Oh that sounds delicious! I hope you enjoy it!! The only thing that worked was the cake. The frosting/topping went in the trash. Somehow this recipe is deceptive since it has failed for so many. I’m not sure what you mean Holly. Looking through the comments, there are a few that had trouble, but the majority have loved it and made it several times. Did you strain the ricotta? It seems like different brands have various amounts of liquid and that could be the problem that some are having. Hmm, I’m not sure why it’d be grainy. There isn’t really anything in the icing that should cause that. Did it turn out alright? Made this late tonight. Will be taking it to a get together tomorrow afternoon. Wasn’t sure I would have enough time to make it in the morning. Looks delicious! I was worried with some of the reviews about the consistency of the topping. However mine actually came out thick and whipped like frosting. I really think it does have a lot to do with the water content of the cheeses. I used Mascarpone (container said made for Tiramisu and more) and Fresca Ricotta cheeses found in deli section of grocery store. They each had a thick consistency. I used Ghirardelli semi sweet chocolate chips on top. I can’t wait to eat this tomorrow! I am so making this cake for work this Thursday coming for a friend that is leaving. I will get back on the turn out. It looks and sounds amazing. Awesome! I’d love know how it turns out! I made this today. My icing was grainy…maybe from the ricotta. Is that normal? Could I have done something wrong? Hmm, it isn’t normal for it to be grainy, but I have heard that once before. I’m really not sure what it’d be. The mascarpone and powdered sugar shouldn’t make it grainy, so the only thing I’d think would be the ricotta. Maybe try to beat the ricotta until smooth before adding it to the topping next time. I’m so glad you found my blog! 🙂 As for how sweet this cake is, I have a pretty big sweet tooth, so probably take this with a grain of salt – or sugar – but I do think this is one of my less sweet cakes. The topping for sure is not super sweet. You could reduce the amount of sweetened condensed milk that you pour over the cake though, if you wanted. I am making this now. Going to a rather large gathering and i doubled it. My “frosting” is not overly thick or thin. I did strain the ricotta. It is tasty. I found the type of ricotta you use can be on the “grainy” side. I only used a few tablespoons of the condensed milk in the frosting. I will give it a full review once it has been consumed. So far so good. I’m glad everything went well with making it! I hope it was a hit! I didn’t read through every comment, so I’m not sure if this has already been answered or asked, but can you make a white cake from scratch and use instead of a box? That may seem like a silly question, but I was curious. I have only recently learned about poke cakes and I always see them made with boxed cake mix. Is it just for convenience? Yes, you could use a homemade cake. I think it’s mostly convenience to use a box. 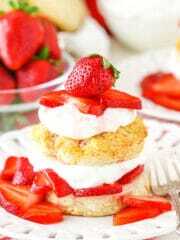 Box cakes also tend to be very fluffy, which makes it nice for absorbing the liquid easily. I have done other poke cakes with a scratch cake before though. a little thicker. Thanks for the recipe. I love cannolis. A real connisuer. I made this cake on Sunday. The reviews from family and friends were some of the best I have ever gotten and I bake a lot. I love this cake! So much so, that I am making it again, this Sunday! SO Delish and kind of refreshing! Thank you, Recipe Maker. 1 note; I used 1 1/2 bars of the new “greek” cream cheese in stead of the mascapone for a nice little tangy zip. I think I’ll keep it that way on the count of the extra protein. Thanks again..Love Love LOVE this recipe! I just made this for Easter and everyone loved it! The frosting came out just like normal frosting for me. I used whole milk ricotta which I could not drain at all. I also used only a 1/4 cup sweetened condensed milk in the frosting, along with 1 1/4 cup powdered sugar and it came out exactly like normal frosting. I will definetly be making this cake again! I’m making this for the second time in a week tonight. Tested it out on my family on Sunday – LOVED it. Making it for a work function tomorrow & have no doubt it will be a BIG hit. THANKS! I’m so glad it was a hit! Thanks Kristina! Anything recommended to replace chocolate chips? I’ve never tried connoli so not sure of the taste. That depends on why the replacement. Do you not care for chocolate? The chocolate chips are more of a garnish that add a little chocolate flavor and are usually on the ends of a cannoli. You could leave them off if you’d prefer. If you’d like to replace the chocolate with something, you could try some crushed nuts, maybe a sprinkling of cinnamon or cocoa? This looks so good. 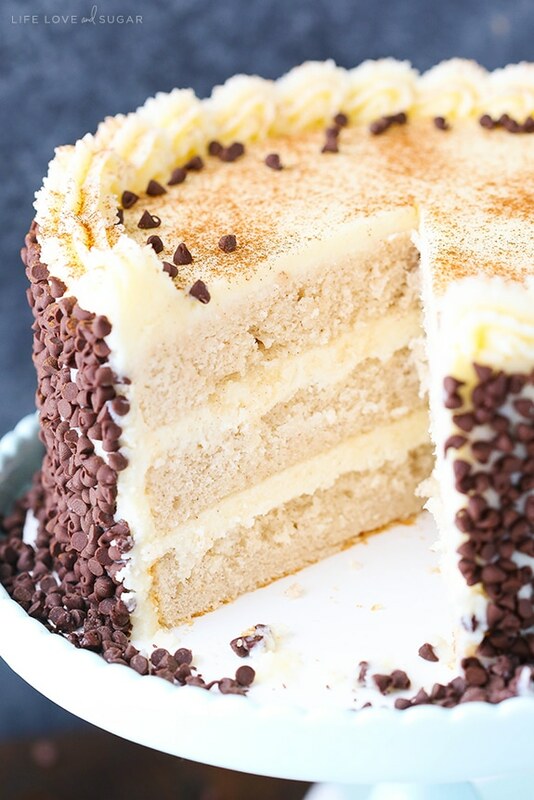 I’ve never made a poke cake before and I was just wondering, do you poke the holes all the way down to the bottom of the cake or only part way through? My cake is in the oven now. Can’t wait to try it! You’ll poke the holes all the way through (or at least mostly) so that everything soaks in. Enjoy it! I just made this cake and I beat the icing FOREVER and could not get lumps out! I beat just the cheeses first and then when I couldn’t get them smooth I added the milk to see if that would help. It still tastes pretty good but I’m worried people will think its too lumpy to enjoy. I have read and re-read all the instructions thinking I missed something and I read most of the comments and no one else had this issue so I’m wondering if I did something wrong. Hmm, I’m not sure. There isn’t much in the ingredients that could be lumpy. Maybe the ricotta? There’s definitely a lot of variation in the texture of ricotta. If you make it again, maybe try smoothing the ricotta first, then add in the mascarpone and other ingredients. It’s probably the brand of ricotta. I bought the store brand the first time, and it was grainy. Tasted delicious, but the texture was a bit off. The last time I got the ricotta in the “fancier” cheese section and it was as smooth as the ricotta in these pictures. 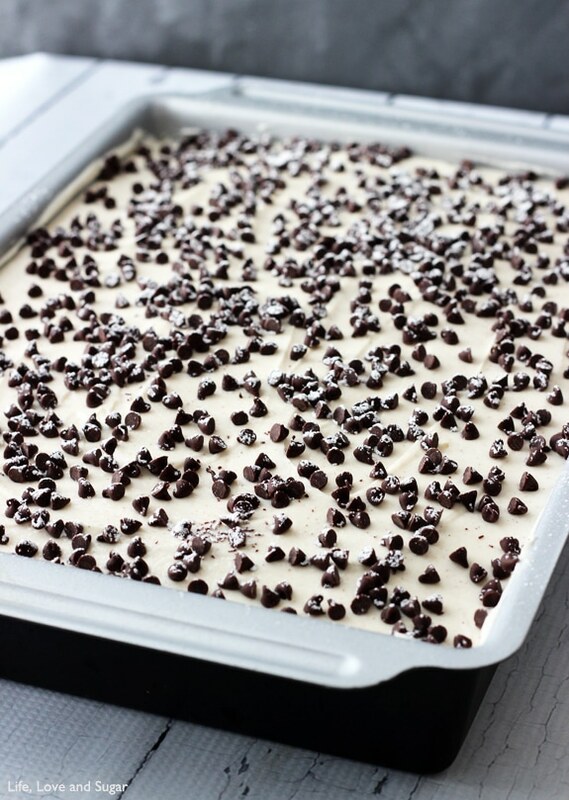 I just made this cannoli poke cake last night and it’s delicious!! My husband doesn’t like treats because they are usually too sweet for him, but he loved it! Thank you! Pure sweetened condensed milk sounds a little too sweet to me, so I may try to make 2 version – yours, and then do one with the tres leche millk mix and the cannoli topping and see which we like best. Holy Cannoli!!! This was gooooood! Of course, I didn’t read the recipe ahead of time, so on the day I made it, I realized that I wasn’t going to have enough time to make the cake (with the soak and set times) so I made cupcakes. I used one of the OP’s suggestions, and added 3 Tbsp (ok, it might have been more like 4) of the sweetened condensed milk and 1 3/4 cups of confectioners sugar, since the icing was going on top of cupcakes & I didn’t want it too thin. Finished it with mini chips & powdered sugar & they were adorable! And yummy! I made 24 for a barbecue & there were none left. Even my picky DS loved them! Thanks! They sound great and so cute! I’m glad they were a hit! 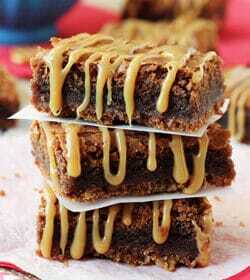 I’m going to be making this week and was wondering how Fat Free Sweetened Condensed Milk would work?? This cake looks amazing! I was thinking about making it in two 8″ pans and stacking the cakes with some of the topping in the middle as well as on top… Will the cakes stand up to stacking, or does the poke and soak make them too flimsy to try stacking them? Thanks! I haven’t ever tried it. If you do stack it, I probably wouldn’t poke the cakes and soak them. I absolutely loved this recipe. I did strain my ricotta. The consistency of the frosting was perfect and I wanted to eat the whole cake myself! This cake tasted even better the two days after I baked it! I can’t find the recipe on the page! This looks so delicious and I really want to try it! It looks like it was supposed to go at the end of the writing but there are just some link-type words, so maybe a bad link? Hi Rebecca, I redesigned my site yesterday and it seems to have caused some issues with recipes displaying on mobile. If you can view it on a computer, you should be able to see it. Can you make it into cupcakes using this recipe? I think some others have told me they’ve done that successfully before. I haven’t tried it myself. Just made this and it was fantastic! It’s not exaclty the same flavor as a cannoli from a proper Italian bakery, but this recipe is marvelous. 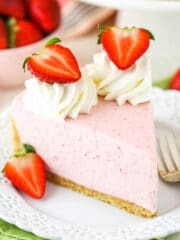 I would recommend making the icing by simply adding condensed milk a tablespoon at a time according to the texture of the icing you desire – if you want more thick and creamy icing, don’t add as much condensed milk and it shouldn’t be as runny, as some have written. Also, refrigerating it after you’very iced it for at least 5 hours will help the icing adhere to the cake and solidify more neatly. Great suggestion to substitute cream cheese for mascarpone if it’s not available in your market, but if you’ve never heard of mascarpone, I would ask one of the deli staff if they carry it and use it. What kind of cake mix do you recommend? The moist kind or….? I believe I used a regular pillsbury mix. For my sons second birthday I went with Italian food for the menu. I wanted the cake to go along with the “food theme” and decided I’d give this cake a go. I was super nervous because I’ve never had a cannoli before. This recipe is a KEEPER! Everyone loved it, wanted seconds and a copy of the recipe. I served it with vanilla bean ice cream and it was to die for. I am so impressed that you care enough to read and answer every comment! that takes a lot of time. You must be an incredibly nice person. 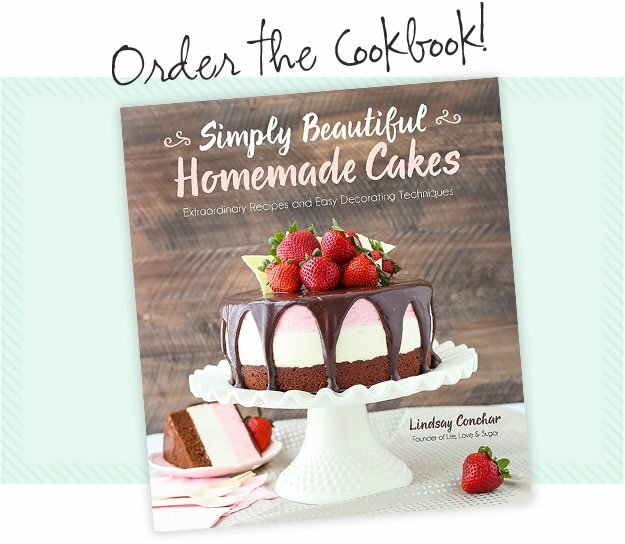 I’m going to try this recipe for an Italian themed Bunco but the ladies are crazy for chocolate so I think I will use a chocolate cake mix. I say that one other had done this and said it was good. Haha, thanks Karen! I try to respond, though I’m probably not always as quick as some would like. 🙂 I hope you enjoy the cake! Don’t let your cheeses get too warm, I had soup instead of frosting! 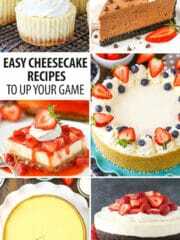 Hi, this cakes looks awesome and I can’t wait to try it, I just have a quick question. 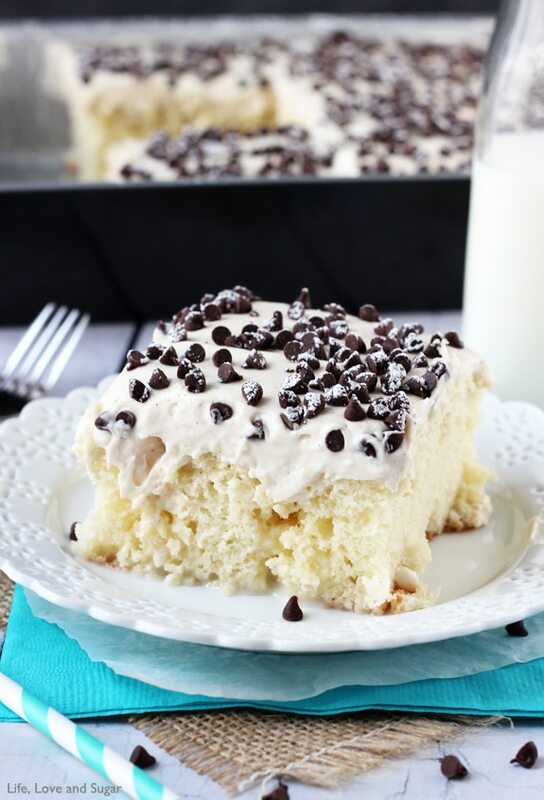 Many poke cake recipes I have seen direct you to pour the condensed milk onto the cake while it is still hot from the over, but you suggest letting it cool first. Any specific reason for that? Thanks! Nope, no particular reason. Feel free to add it while the cake is warm. My family loved this!! It’s just three of us, and the entire cake was gone in less than 24 hours. However, we live on an air base in Japan so I couldn’t find marscapone cheese in our small commisary, so I subbed cream cheese and it still tasted like cannoli filling, but I would maybe add some sour cream to make it a little tangier next time, and there definitely will be a next time!! 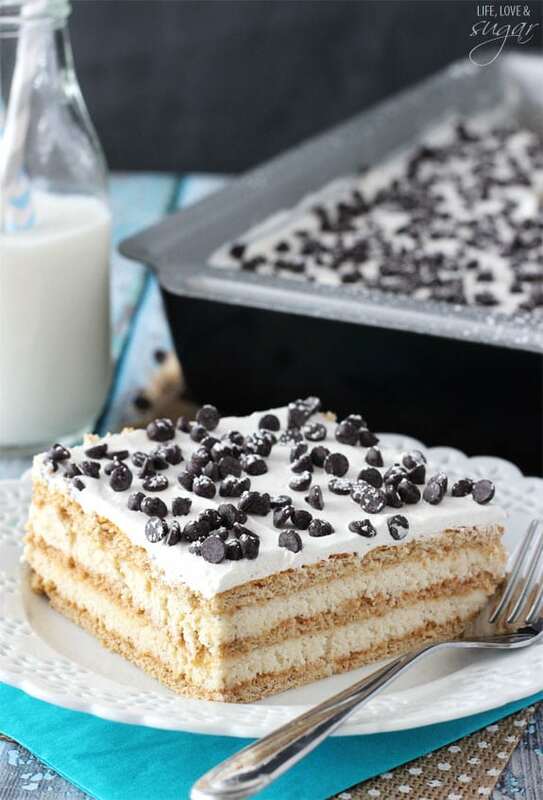 My mother is planning on making this Cannoli Poke Cake and she would like to know if instead of using condensed milk, if you could use regular milk instead. I wouldn’t recommend it. They quite different flavors and consistencies. I’d think regular milk would just soak right through the cake without really giving it much flavor like the sweetened condensed milk does. Hi there, would you please tell me if the cake needs to be cooled before you put holes and pour the condensed milk? You could probably do it either way, but I’d suggest doing it when the cake is warm. I’ve been eyeballing this cake for weeks now – it looks so yummy (and so right up my taste buds’ alley LOL). After pondering (and fantasizing) about this cake, I was SO excited that I was selected to bring our Memorial Day Cook-out dessert. Without hesitation I went to pick the ingredients up – and was hoping you could help me quickly with a question! I am going to make it the day before, however, reading that the icing isn’t super thick I wanted to ask if you recommended me doing the cake the day prior, then the icing the day of (of course waiting right before serving to dust with the powdered sugar)? I’m so excited to make this, I’m sure it’s going to be a hit!!!! This cake looks awesome. To the person who found it lacking in flavor, they might try adding some Lemon flavoring to the cake recipe. Also, to the person who’s husband does not like chocolate, she could sprinkle some coconut over the icing instead of the chocolate chips. I make a poke cake with crushed pineapple instead of condensed milk, vanilla pudding (I use only 1 cup of milk in the pudding mix to thicken it), Kool whip over the pudding and finish the cake with coconut.. AWESOME!!!. I’ll be honest, I feel like the “frosting” and the cake part don’t really match up when I think of cannoli flavors. The cake by itself is good, and if you believe my wife, requires no additional frosting at all. The cannoli frosting isn’t bad, but doesn’t quite hit the flavor of cannoli fillings I’ve had in the past (not that I’m a cannoli expert or anything!). In addition, the cost of this cake (~$15, at least for me) did not match up to the results. Marscapone cheese is so darn expensive, and its flavor didn’t scream out when tasted the frosting. If I were ever to make it again, I’d probably make it with some sort of homemade mascarpone substitute and a different cake. Is it possible to make this as a traditional round layered cake with frosting between? I wouldn’t suggest replicating this particular cake and filling, but here’s an alternative recipe for a Cannoli Layered Cake. I made this cake but the cannoli filling was too runny. I saw another recipe which was similar and it said to use 2-3 cups confectioner sugar…perhaps the filling wouldn’t have been so runny. I didn’t care for this cake. Sorry. How do you measure the ricotta and marscapone? Do you use dry measuring cups or do the packaged containers equal 1 1/2 cups? If so, what size packages do I need to use? Yes, I use dry measuring scoops and spoon it in and level it. 1 cup is around 8 ounces. Could I leave the cake soaking the milk overnight? Do I have to wait for the cake to cool before poking holes in it? When I combine the ricotta cheese and mascarpone cheese, do the cheeses have to be chilled or at room temperature? I’m afraid to over mix the cheeses, how long do you think I should mix it for? Would it be with an electric mixer on low? Also does making it the night before affect the taste or texture of the cake? Thanks so much!! You can do it while warm or cool, it’ll be fine. Both the cheeses can get fairly soft at room temperature. I think it’s a little more stable when they’re chilled. Just mix them on low until they’re combined. Making it the night before will be fine and give it a chance to set. What a great recipe! I used Galbani brand Marscapone and Ricotta (Whole Milk) and had no problems with it being runny. I will say that I only gave my topping ingredients one good mix. I gradually folded it in which may have helped with consistency. Like all good Italian recipes, slow and steady wins the race. I mixed my topping and allowed it to set for 2 hours in the fridge before topping my cake. I also let my completed cake sit overnight in the fridge before diving into it. Now, I did make two minor adjustments that added big flavor. I adore maraschino cherries in my cannoli filling so I added about 8 to 10 of those. I chopped them up very finely and mixed it into my topping. If you do use maraschino cherries, make sure to let the juices drip out of a paper towel BEFORE adding to the topping so there is not any additional moisture. Delicious! My second adjustment was adding a teaspoon of almond extract into my cake batter. It really elevates it to another level! I’m glad you enjoyed it! Galbani brand is excellent – so little water and such a great texture! I baked my own birthday cake using this recipe…. oh my yumminess. I could just take a spoon and eat the icing from the bowl…. thanks for a delicious recipe that i will be making again. I made this today for my husband and my dad for Father’s Day. It was an absolute hit! Super yummy ???? Thank you so much for a great recipe!! Making this tonight. My kids and husband love cannoli’s so I think they will enjoy this. Do you let the cake cool before poking holes through it? You can do it either way, honestly. I tend to poke the holes when the cake is warm, but I’ve done it both ways. Incredible! The cake was moist & the filling was out of this world delicious! I followed the directions exactly and it came out perfectly! For the filling, I added everything to the ricotta only and then folded in the mascarpone at the end so that it didn’t get too runny. I would definitely make this again & again! Thank you!!! I just finished making this cake and considered piping the frosting directly into my mouth! I had absolutely no issues with the frosting consistency and even added the sweetened condensed milk. I can’t wait for Thanksgiving dinner tomorrow to see how everyone likes it. Thanks for the great recipe. It was very easy to make too. Awesome! 🙂 I hope everyone enjoys it! Ok, so I was looking for a recipe that I could use up some “left over” Cannoli dip from New Years Eve. Shockingly enough, yes, we did have leftover cannoli dip, mainly due to the fact that my brother-in-law is an amazing Italian cook & there was so much good food all around. I made the poke cake using the cannoli dip as a 1-1 replacement for the liquids in the cake mix. SO AMAZINGLY MOIST! then we went crazier & made a box brownie mix with some more dip. YUM! Frosted the cake as you suggested, brownies vanished before I could even dust them with powdered sugar for effect. So glad I found your posting so I could have a base to experiment off of & not be intimidated by the ricotta cheese. Does this need to be made in a 9×13 pan? Would a square pan work at all? If using another size pan, like a square, you may need to adjust the amount of the recipe and the bake time. Ok I know this is a cannoli cake but do you know if there is anything I can substitute for the ricotta? My husband and I are not fans. You could just use more of the mascarpone cheese, or use cream cheese. The first time I made this cake, it was HEAVEN! 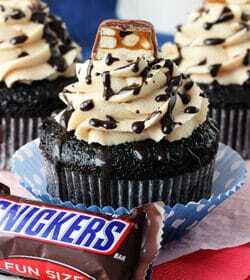 Now, had to figure out how to make it into cupcakes! My husband cooks at the moose lodge on Fridays, and wanted it for dessert there. Didn’t get around to that, but I did make them for the moose lodge picnic today. First batch, I made per recipe, using a fork to punch the holes into the cupcake. Tasted great, but a bit “wet”. So, my second batch, I just made the cupcakes, and used the filing for the frosting and sprinkled the mini chips on top. Had my husband, daughter and her friend taste test them. They all liked the all, but said for cupcakes, the second batch was better. So, sent them all over to the picnic. 42 cupcakes. My husband said people went bonkers over them! One guy wanted to buy them all, but the only let him buy 8! LOL! They also sold them for $1.00 ea. Will be making them for the next bake sale there at the end of Sept. Thanks for a great recipe,a nd the inspiration for the cupcakes! Wonderful! I’m so glad you’ve enjoyed the recipe! Made this tonight for a church potluck tomorrow, I doubled the recipe and added a bit almond extract to the cake batter before baking it. The cannoli filling was smooth, creamy and delicious. I will definitely make this again! My husband doesn’t like ricotta, is there anything I can substitute with? Yes, you could just use more of the mascarpone cheese, or use cream cheese. Do you cool cake before putting the condensed milk over it.? You could really do it either way. I’d probably suggest adding when it’s warm though.